I didn’t see the new Spiderman movie. I have a daughter, now four weeks away from being 2, and haven’t seen the inside of a movie theater in at least 19, maybe 20 months. The wife and I have talked about ordering something from “DirecTV Cinema” after she goes to bed, but by that point just the idea of having to pay active mental attention to anything for longer than an episode of Jeopardy! is exhausting. I tell you this because at some point this offseason, I had the insane idea that the fortunes of the 2012 Auburn Tigers might be tied to the quality of “The Amazing Spider-Man.” Sam Raimi’s first Spider-Man, you see, was an awful lot like Gene Chizik’s first season at Auburn: not flawless but far better than it had any right to be, downright pulse-quickening at times, and more than anything a mouth-watering promise of what the franchise could be if everything came together. 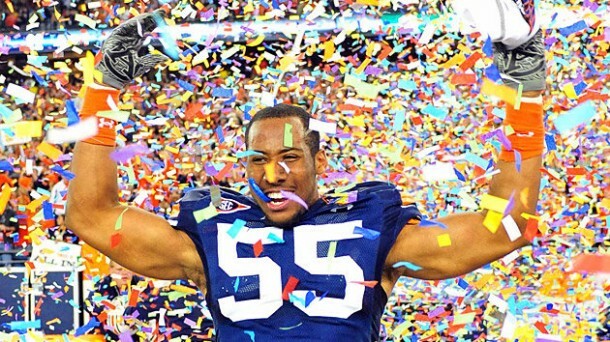 Then everything did come together — as together as together gets — in “Spider-Man 2” and Auburn’s 2010 season. Which made “Spider-Man 3” and the 2011 Tigers all the more painful. No one was expecting a second straight helping of that kind of greatness. But no one was expecting everything to already feel so tired, so devoid of inspiration, of spark. Oh, there were glimmers of what had come before (the Chick-Fil-A Bowl, Thomas Hayden Church) but for the most part, it seemed as if the filmmakers/Auburn expected us to mistake lots of on-screen activity — look, Venom! Special effects! last-gasp onsides kick recoveries vs. Utah State! — for their predecessors’ actual genius. It wasn’t a surprise when those in charge decided that as much success as the franchise had enjoyed, and as young as it still seemed, it was time to scrap it and start over. The analogy breaks down in two ways: first, as I said, it’s insane. Second, I’m sure Andrew Garfield makes a game effort, at the minimum. But he’s no Brian VanGorder. VanGorder is, even moreso than Gene Chizik, the man who’s going to define Auburn’s 2012 season–and arguably Auburn’s program going forward for the forseeable. Forget what side of the ball each was responsible for: the coach Chizik hired to replace Malzahn was VanGorder. 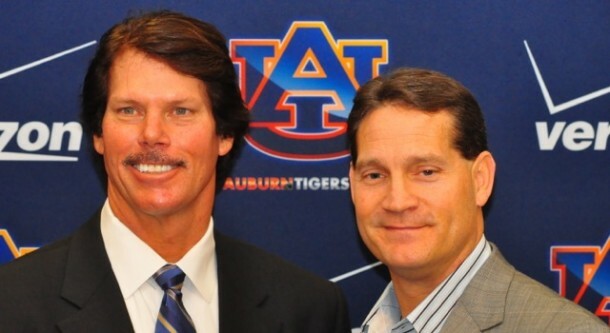 Chizik asked Dr. Gustav to win him games and Ted Roof not to screw them up; likewise, even Loeffler himself made it clear his first job is simply not to undo the good work done by the ‘Stache’s guys. Which is why Auburn’s Great Coordinator Upheaval of 2012 both is and isn’t the dramatic overhaul it’s been out to be. On the one hand, yes, it’s a wrenching philosophy shift; in college football terms, if there’s no triple-option involved, there’s probably no further distance between two poles than going from 1. trying to put half a hundred on the scoreboard via a no-huddle spread* and damn the defensive consequences to 2. strangle them defensively, then hope our fullback can plow open enough holes to get us in field goal range. I’m grossly exaggerating, but that doesn’t mean Chizik hasn’t pursued a path that’s going to be highly demanding on his current personnel, dictate a jarring shift in his staff’s recruiting evaluations, substantially alters much of his in-game decision-making, etc. If there’s a been more a complete makeover of a team by the same head coach within a three-year span in recent college football history, I’m not aware of it. At the same time, Chizik’s vision of how he wants to construct a championship football team hasn’t changed a lick. Hire the best coordinator you possibly can, regardless of cost**; hire position coaches who can recruit like demons and who’ll give him the proper coaching support; recruit the necessary pieces to let him build an earth-conquering death machine; find a second coordinator whose schemes and temperament fit being the guy on the other side of the ball, and give him the best pieces you can find, there, too; win. For two years, that plan made Gus Malzahn the nation’s highest-paid assistant coach and Gene Chizik the first Auburn coach to wear a national championship ring in 53 years. So yes, whatever happened in Year 3, I’d say that was a pretty good plan. Now we get to watch it swing into action a second time, with VanGorder as the centerpiece. Around this time last year, I wrote that 2011 was the season of the possible, the campaign that would show us — the way 2009 did — exactly how bright Auburn’s future was. But it didn’t work out that way; it showed us instead that the original incarnation of the Chizik era had already put its best days behind it. Given how spectacular, how glorious those days were, hey, fine–just don’t pretend we need a second failed season to tell us what we already know we know. Chizik didn’t pretend. He rebooted the franchise. Our reluctant nerd genius superhero has been replaced by the mustachioed firebreathing superhero. The bad news is that we’re still where we were at this time last year, in some ways where we were back in 2009–waiting to watch our superhero and his superfriends put on their orange-and-blue tights and flash the powers that will, soon enough, let them take down their evil archnemesis and bring truth and justice throughout the land. The good news is that it’s not 2009 in most ways. 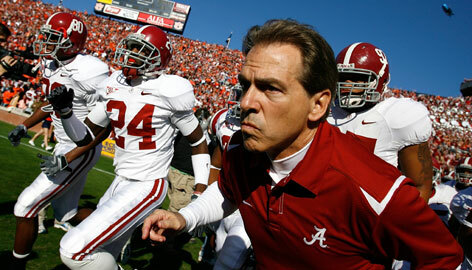 Auburn’s players are better, the position coaches aren’t new, we know Gene Chizik won’t stand in the way of greatness. The Tigers aren’t far enough along that we’ll be able to leap straight back to the top of the SEC in a single bound, but this season can be, should be, evidence enough that good will prevail … and sooner rather than later. Maybe “The Amazing Spider-Man” was terrible. No matter–I’ve bought my bucket of popcorn the size of an oil drum, my 256-ounce Sprite, enough Mike and Ikes to fill a fallout bunker. The usher’s torn the ticket, my seat’s picked out, the trailers are finally all completed. We’re ready, Auburn. Dim the lights. Crank the projector. *Yes, Auburn’s 2011 offense wasn’t actually the ludicrous speed system we’d seen from Malzahn at Tulsa or in 2009/some of 2010. But the schematic underpinnings were the same, which is one of the biggest reasons it floundered so badly; it’s not really a surprise that a playbook designed over years of trial-and-error to be run at one tempo doesn’t perform when asked to run at its opposite tempo, is it? **Bizarrely, Malzahn actually came cheaper when he first signed on than Roof did. But Malzahn’s eventual raise and BVG’s salary make clear money’s not much of an object when it comes to Chizik getting the guy he wants. So, yeah, I picked Clemson at CBS. I don’t like it any better than you do. In fact, I almost certainly like it less. But picking what the head thinks is most likely rather than the heart wants it to think is part of the job description. So why does the head think that way? It’s simple, really: the gap between Clemson’s offense and Auburn’s offense is likely to be wider than the gap between Auburn’s defense and Clemson’s defense, the reason for that being that Auburn’s offense doesn’t have any part of it that’s not a question mark. Quarterback? True sophomore making his first start in system he wasn’t recruited for. Running backs? Handled by committee by Luper’s own admission, an admission that usually amounts to “we don’t have a guy we really trust to be a difference-maker.” Receivers? Fine, if you think Lutzenkirchen and Blake can handle things alone, less fine if — like me — you think a third option somewhere is kind of a necessity. The line? Not one but two freshman tackles, a center who’s never delivered a snap that mattered, and guards who have size and experience but who seemingly no one expects to be anything more than good enough. For all of that, yes, I think Auburn will have a productive offense this season — I’m a Loeffler believer — and yes, I think some of those question marks will be answers by the end of the 60 minutes Saturday. Enough of them that Auburn pulls out a win? That I’m less sure of. But it’s by no means impossible. This part is simple, too: Auburn has to own the lines. Both of them. Clemson has talent by the pantload at the skill positions, linebacker, secondary … but (and this is nothing you don’t know by now) they lost at least three-quarters of a pantload of talent on both lines. How does Auburn’s frighteningly revamped secondary and starless linebacking crew handle Tajh Boyd, Andre Ellington, and Deandre Hopkins? Lemonier/Whitaker/Blackson/Ford and the rest of that two-deep handles them for them. What’s thrilling is that — as I also wrote for CBS — they’re entirely capable of doing just that. There’s nothing I’m looking forward to Saturday more than Clemson’s 3rd-and-long … and after last year’s third-down performance, even thinking that sounds like madness. But it has to happen on offense, too; Frazier won’t have a prayer unless he has a running game, and as much as I’m expecting to love Prosch, that running game won’t happen unless Greg, John, Tunde, Chad, and Avery flat plow over the CU line. Until we see exactly what Mason and Blakely (and maybe Grant) have to offer, the assumption is that creases won’t cut it. We need lanes, man. And here’s the thing: I really think Auburn’s line can create them. For all the negatives I listed above, there’s a positive, too. The tackles may be freshmen, but they’re studly ones who earned their positions by beating out a lot of other studly recruits. Sullen and Slade may have been more “just a guy” than “the guy!” last year, but a lot of guys are in their first year on the first string. And Tunde … well, Tunde has to know that if he ever wants to be something more than Dismukes’ backup, he has one shot at it. The shot he’s been preparing three seasons and one offseason for. And that shot comes against Clemson, who, let’s be honest, won’t be as bad as they were when we saw them last … but aren’t going to be world-beaters, either. Clemson fans would say the exact same about Auburn, of course. But we have Van Gorder, and Lemonier, and a tackle rotation we can be proud of, and a lot of dudes in the secondary who have a 50/50 shot at being entirely new players now that the old coordinator has departed. With just a little bit of help from the offensive line, this defense can make this a game. That much, I’m sure of. And if it’s a game … well, you may know that Auburn has now won its last 10 games decided by a touchdown or less, going back to the Northwestern win. Maybe that means they’re due to finally come up short. That’s what my head says, anyway. My heart says this coaching staff and this team “responds under pressure” and “comes through in the clutch” and “just knows how to win.” That’s probably all B.S. But we don’t need it to be the truth all season–maybe we just need it to be true Saturday night. I may not think it;s likely, but I sure as hell ain’t ruling it out. Something like Auburn 27, Clemson 24? Sounds good to me. After StatTiger’s analysis of Loeffler and the job he did at Temple, I’m actually more excited about his prospects than VanGorder’s. I think Loeffler’s got a mind for how you structure a college offense to suit your personnel – which in the long term is going to be more valuable than a guy implementing the next big innovative ‘system.’ Also, I’ll be shocked if VanGorder stays more than 2 seasons – he’s just too good not to get quality HC offers. Loeffler, on the other hand, is the kind of ‘under-the-radar’ type that could go largely unnoticed for a while. Sorry, but I have to say this: I think Malzahn was way overrated. Without Cam’s ridiculous ability to convert third and short, plus his big play theatrics, we would have been at best an average team. All the silliness on the sidelines with play calling, no huddle, etc. really never fooled anyone. And it killed our defense. I much prefer solid, power-punching ball like we will see this. Take your time, concentrate, actually overpower the defender, and see if good things don’t happen. Make third and two most of the time. Let the defense rest. Play big boy football. We were completely out muscled last year against good teams. We had no chance. I think this year can be different. It was time for a change. Good to see a Jerry article back over here! God I miss Jerry so much. You picked Clemson? Son, I am disappoint. Hand in your Auburn card. Good to see on TWER Jerry. I am looking for great things out of the “D”.